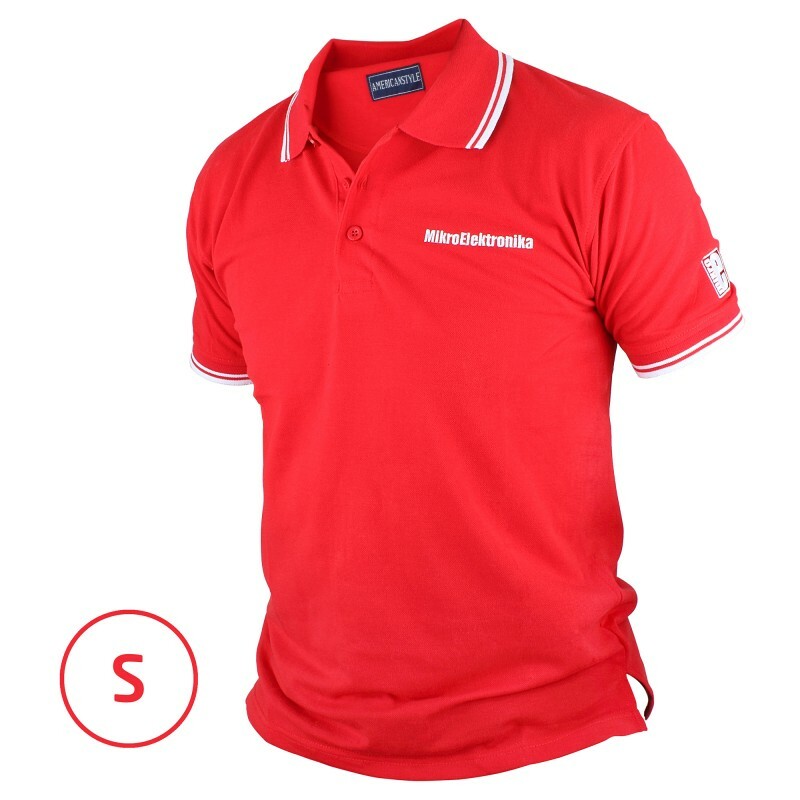 If you're willing to take fashion advice from electronics nerds, consider donning a brand new MikroElektronika Polo shirt, in candy apple red with elegant white stripes on the collar and sleeves. Many of us wear them to work. Pass by our Chief of Hardware's office, and you'll see him wearing one while inspecting new prototypes. Feel like you're part of our team, and be classy while tinkering with your favorite kits and click boards.